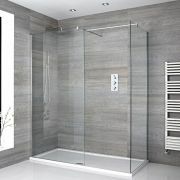 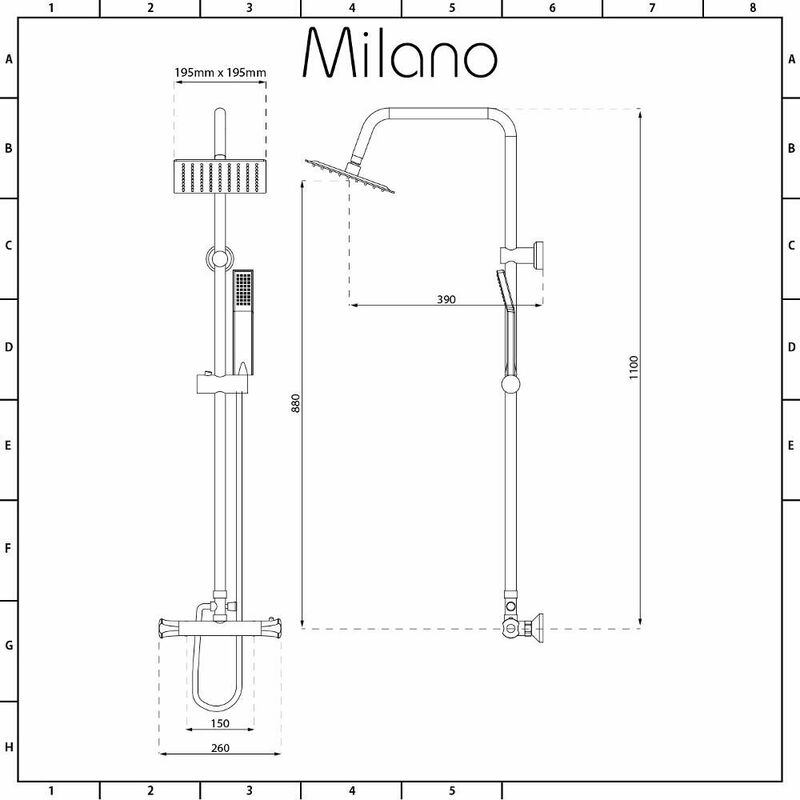 The Milano thermostatic shower kit is the perfect option for adding modern style to any bathroom or en-suite. 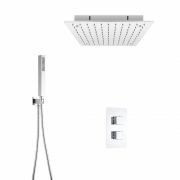 Featuring a modern geometric design and a durable chrome finish that blends seamlessly in with any decor, this shower kit is supplied with all you need to create the perfect shower including the solid brass thermostatic bar valve, square shower head and the hand shower with hose. 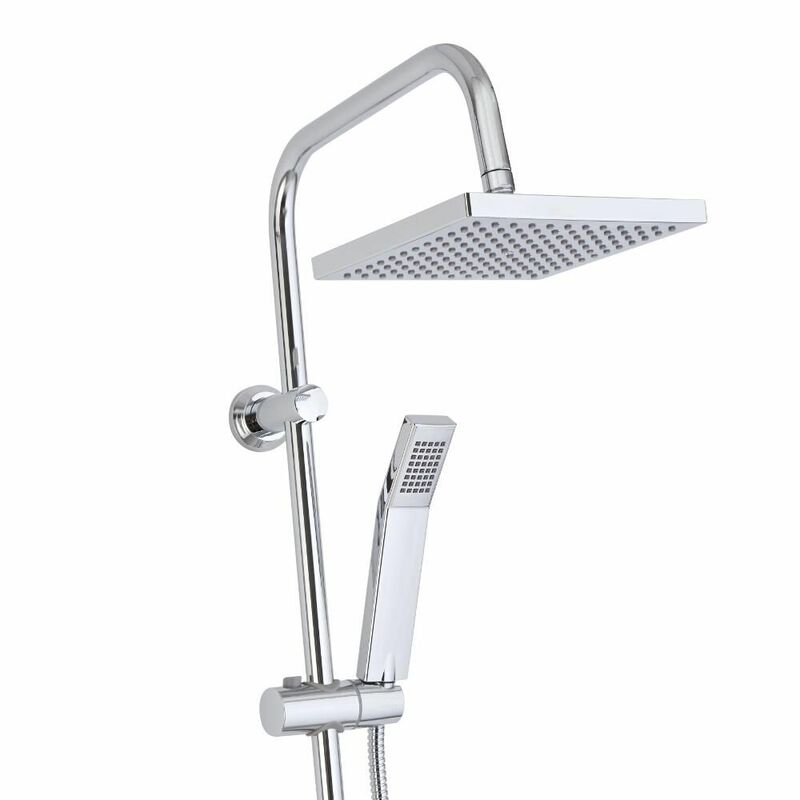 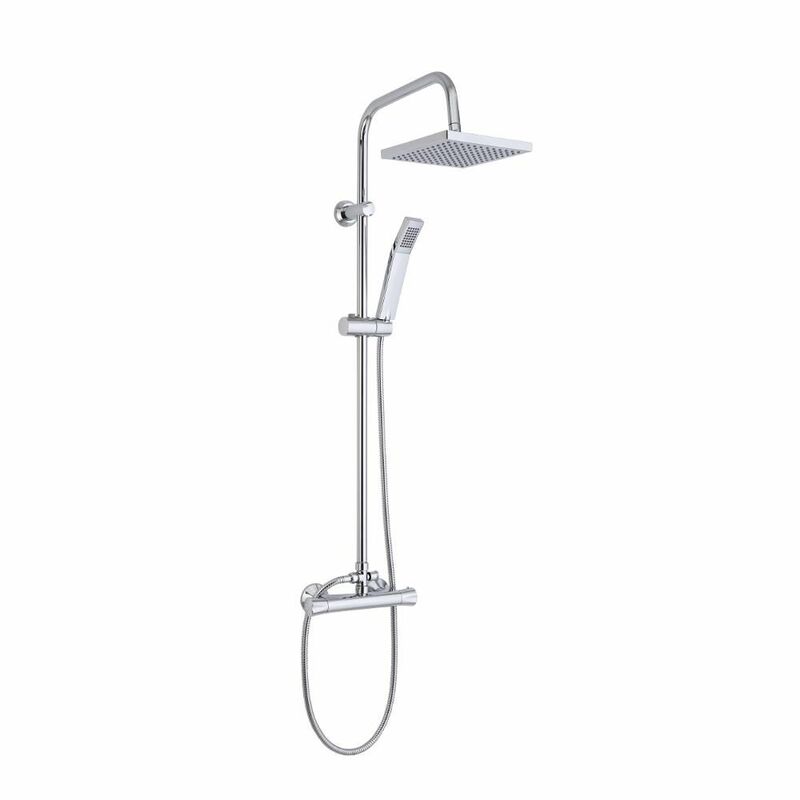 The hand shower can easily be adjusted to the desired height, and removed from the bracket to allow for easier rinsing and cleaning. 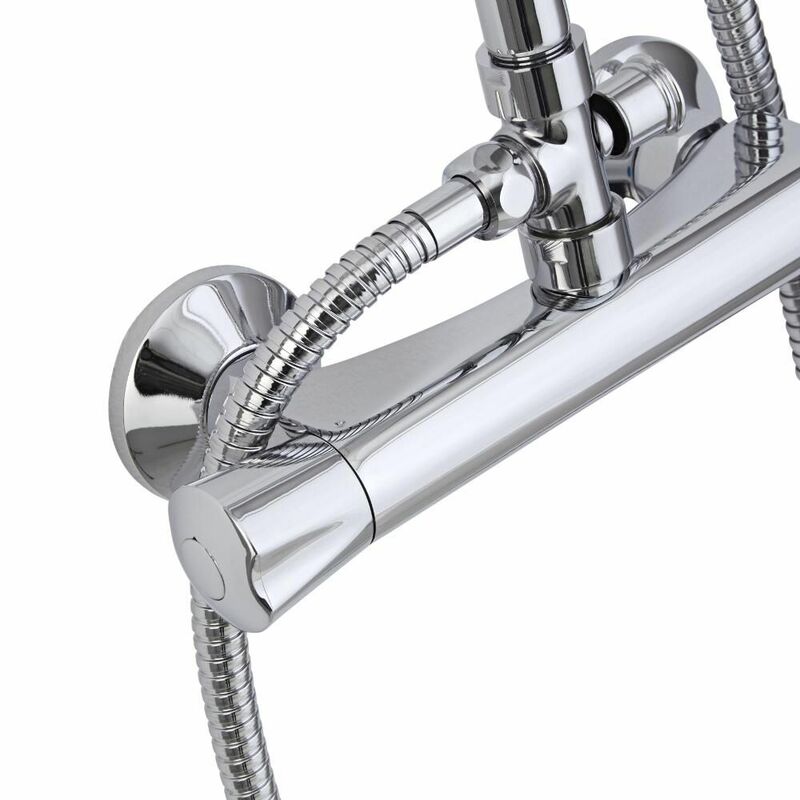 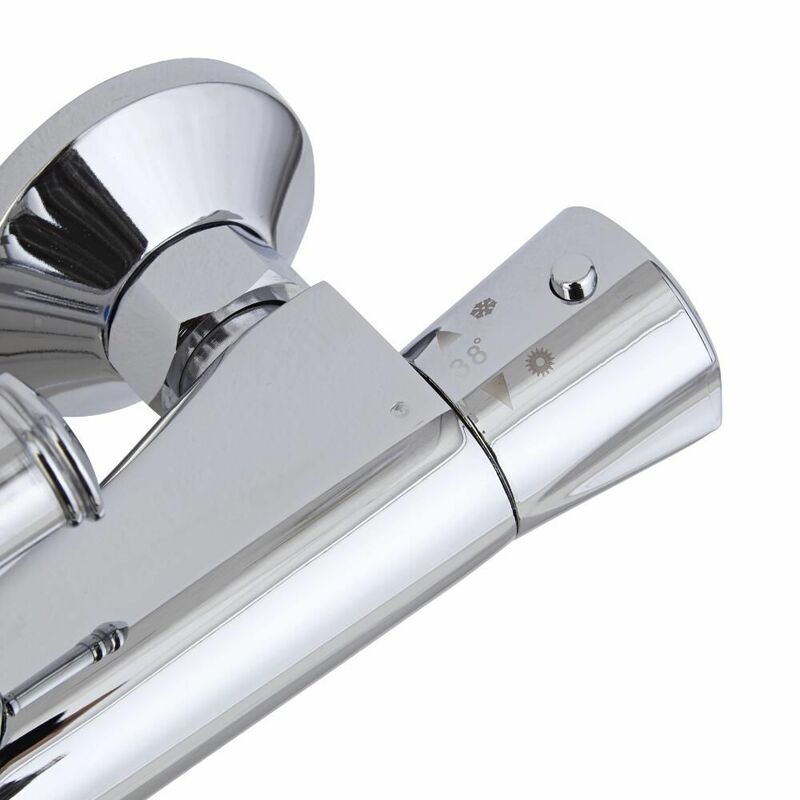 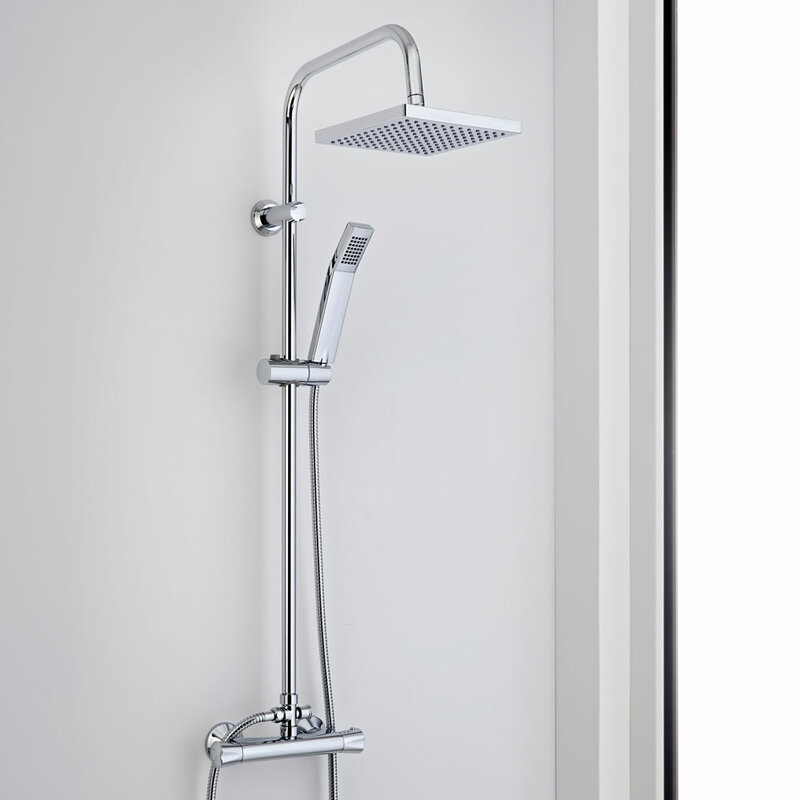 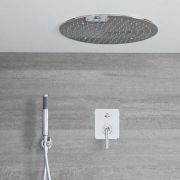 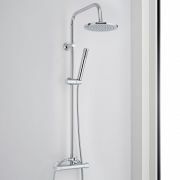 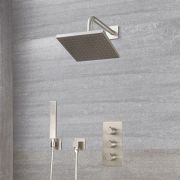 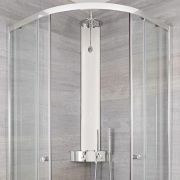 The bar shower valve incorporates anti-scald technology to ensure a safer showering experience.